Joseph Alalay is the president of Team District 10, a group that organizes car shows throughout the Bay Area. For the past eight years, Team District 10 has held a car show fundraiser in Newark to raise money for HERS. Joseph chose HERS because funds raised are used to directly address the personal needs of breast cancer survivors. He is an active member of the Newark Chamber of Commerce and sits on the Board of Directors. He was raised in San Francisco, enjoys his work at a phone specialty company, and is an avid bowler. Freska is a popular radio host at KOIT, and loves being connected with local communities. She was born and raised in the San Francisco area and has family throughout the Bay Area. Four years ago, Freska faced a breast cancer diagnosis. Treatment was grueling, as it always is – but as a single mom, Freska had to deal with additional challenges. Her daughters were a great source of support and comfort, and now that she has recovered, Freska wants to share her story and raise awareness. She has participated in past HERS events and is now spreading the word about HERS services to her fans and social media followers. 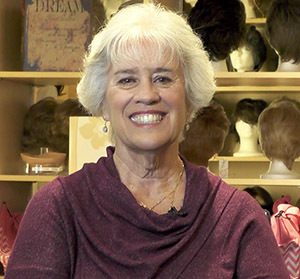 Freska recently recorded a fun video tour of HERS Fremont store and services. Check it out and share it with anyone who wants to know more about what we do. 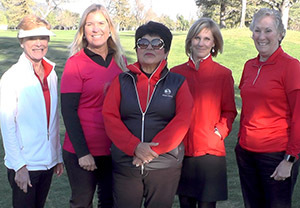 The Castlewood Women’s Golf Club, established in 1954, welcomes women for fun and competition through organized golf games. The group has a long tradition of giving back to local communities; they have been raising funds by hosting annual charity golf tournaments for over four decades. They held the first tournament to benefit HERS in 2004, and look forward to many years of raising awareness and funds in support of HERS programs and the women who seek help from them at a very difficult time in their lives. Elizabeth Barron is a San Francisco native who worked at Pac Bell as an engineer until her retirement. She’s been married to her husband for 37 years and has three children and seven grandchildren. Both Elizabeth and her mother faced breast cancer and have been survivors for over 20 years. She first became involved with HERS after her mother’s diagnosis; her own experience and work with HERS over the years confirmed her belief that women need compassionate care and help to fully recover from surgery and treatment. Elizabeth has been an integral part of HERS from the beginning, initially working with founder Trish McMahon. She served on the Board for more than eight years, including terms as Secretary and Board Chair. She was instrumental in creating bylaws, strategic plans, and fundraisers, including the first People with Purpose event. Elizabeth remains actively involved with the organization as a valued advisor and volunteer. Hope Award – Stanley Rockson, M.D. Renewal Award – Rishi Sawhney, M.D. Support Award – Dutra Enterprises, Inc.
Support Award – Lisa Stambaugh, Information Architect, Collective Discovery, Inc.